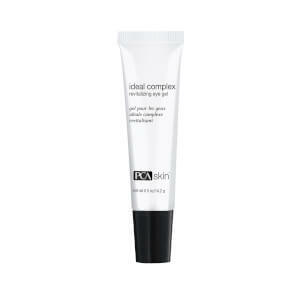 This technically advanced treatment formulation synergistically hydrates, smoothes and firms aging skin. This serum contains ingredients that relax the facial tension that leads to wrinkling, increase intracellular moisture, fight free radical damage, and provide the skin with an immediate tightening and lifting effect. This treatment can be used by all skin types. After cleansing and toning, smooth one to two pumps onto areas of wrinkling and laxity, concentrating on the lines around the eyes, forehead and mouth. 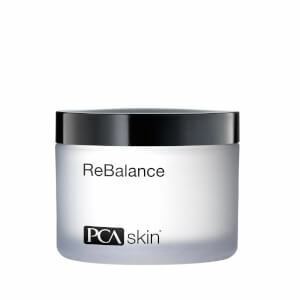 Follow with PCA SKIN treatment serums and the appropriate PCA SKIN broad spectrum SPF product in the daytime and moisturizer in the evening. Water/Aqua/Eau, Aloe Barbadensis Leaf Juice, Hydroxyethyl Acrylate/Sodium Acryloyldimethyl Taurate Copolymer, Gluconolactone, Aminomethyl Propanol, Dipotassium Glycyrrhizate, Sodium Benzoate, Caprylyl Glycol, 1,2 - Hexanediol, Acrylates/C10-30 Alkyl Acrylate Crosspolymer, Santalum Austrocaledonicum Wood Oil, Aniba Rosaeodora (Rosewood) Wood Oil, Sodium Hyaluronate, Phenoxyethanol, Citrus Grandis (Grapefruit) Peel Oil, Citrus Nobilis (Mandarin Orange) Peel Oil, Tropolone, Mentha Piperita (Peppermint Oil), Potassium Sorbate, Acetyl Hexapeptide-8, Phytosterols, Tocopherol, Tocotrienols, Oryza Sativa (Rice) Bran Wax, Squalene. I actually found that despite all the hype this product actually WORSENED my lines. I am in my early 30s with only a wrinkle between my eyebrows and was told by my facialist using this product would prevent any need for Botox! After using this product for 2 weeks the line between my forehand only got more prominent & trying to use this preventitively around my mouth emerged 2 lines I never even had before!!! It promises muscle tightening but this seems more like a scam to push people into Botox! Avoid this product! 1/17/17 by Beware this product! 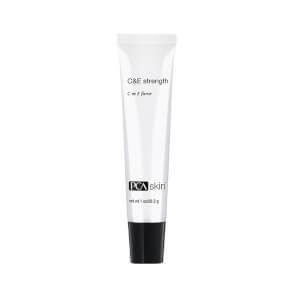 I love this product, I have used for many years. I am 73 and most people cannot believe it , they guess me to be early 50. I find this product to be excellent to use alone. No need to pile on other skin care. I have been using this serum for a couple of weeks. While it does seem to smoothen out the skin gradually, in no way do I find this serum hydrating. Just the opposite: My skin feels tight, and not supple. I wind up layering another moisturizing cream over this product. I have found that the surface of my skin is improving, in that fine lines are not as noticeable, but the serum is just not hydrating, at least for me. I have used this product daily for bout 4 years. My skin looks fabulous for 69 years of age. Most people think I am am in my late 40's which make me feel great.It seems to tighten and hydrate my skin.But it is really pricy. Great product - mini botox in a bottle. I am 55 and have no lines around my eyes, forehead or neck. Use it twice a day. definetely saw a diference in the lines around my mouth!